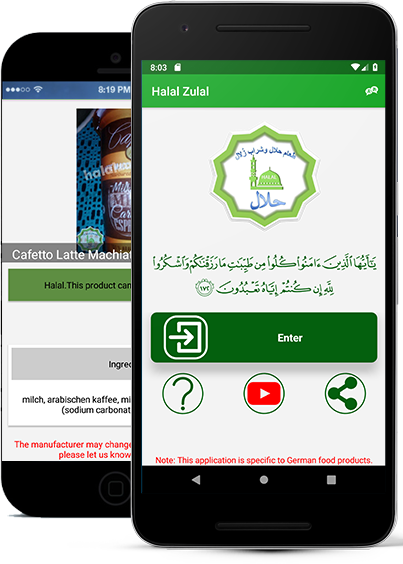 Halal Zulal application was created to facilitate the Muslims of Germany in the selection of food products in accordance with the provisions of Islamic law. Many Muslims suffer from the problem of halal food discrimination. Therefore, the Halal Zulal application was created to facilitate the Muslims of Germany in the selection of food products in accordance with the provisions of Islamic law. Where he gives the provision of German food products in terms of the possibility of being addressed by Muslims or not easily Through the barcode on the packaging and the product. 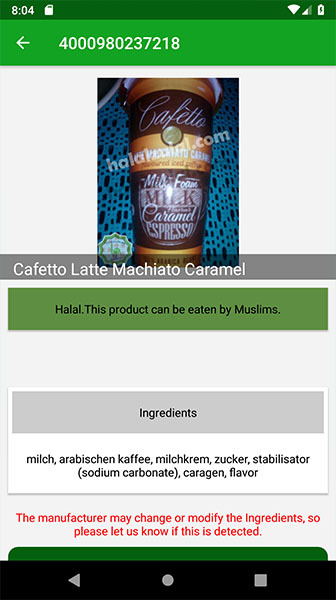 Halal Zulal is the best german halal food app. It is equipped with amazing features and comes with even more amazing support. 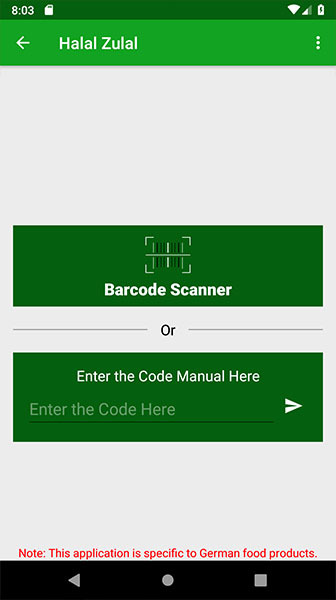 The possibility of automatic scanning of the bar code of the product by mobile camera. 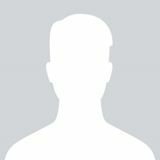 The possibility of manual entry of the code of the product in the space allocated to him. The application can address the user in 4 languages (Arabic, German, Turkish and English). 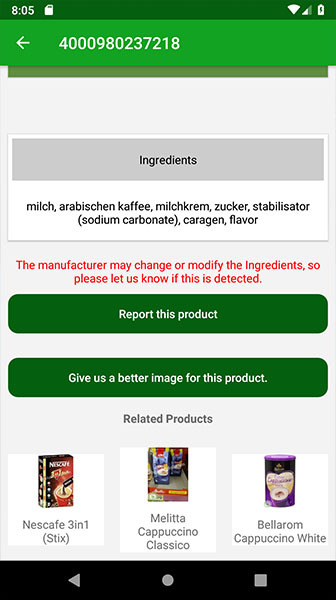 The possibility of sending a picture of the products that do not exist automatically to us so that we can add them. Giving a detailed product result. القائمين والعاملين على البرنامج يستحقون كل الاحترام . "تطبيق لا يستغني عنه أي مسلم "
في تركيا لدينا الكثير من المنتجات الألمانية وقد ساعدني هذا التطبيق باستخراج معظم المنتجات الحرام منها. What languages does Halal Zulal support? Halal Zulal can address the user in 4 languages (Arabic, German, Turkish and English). app works on all Android devices running Android 4.0 and up. and also works on all ios (iPhone & iPad) devices. حكم الجيلاتين المستخرج من الخنزير أو المشكوك في أصله. Copyright © All rights reserved | This website is developed with by Aorta Tech.